The yield is much higher than it was using compost, but the rate of growth seems to be much slower. 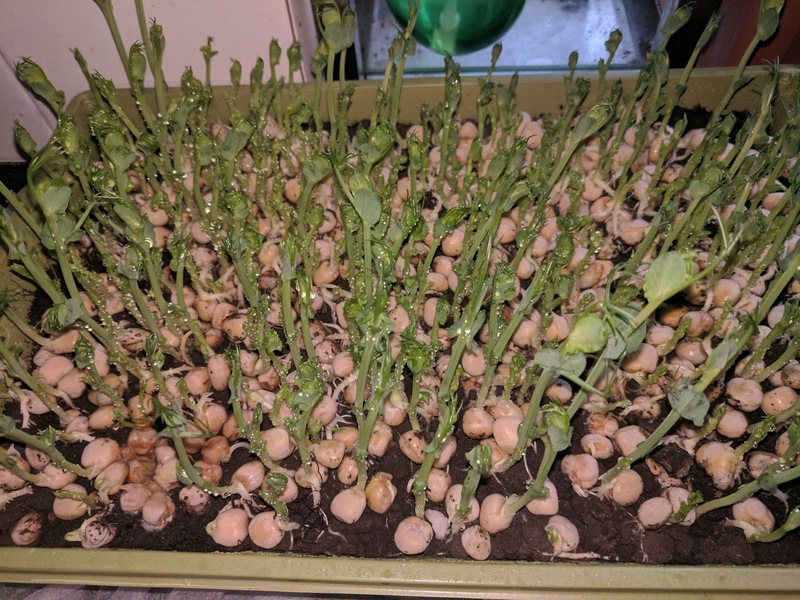 I started them off under the same conditions as previous trays - covered and weighed down for the first two days, sprayed at least once a day and out of direct sunlight - before moving them into a lighter spot in the kitchen, but the difference is noticeable. Not sure why this is. Still, it suggests they soil on the allotment is of good and nutritious quality, which makes me happy. Perhaps the slower growth is due to the changing season, as the temperature has started to dip (I only use my heating when it gets really cold, which means room temperature is dipping too). 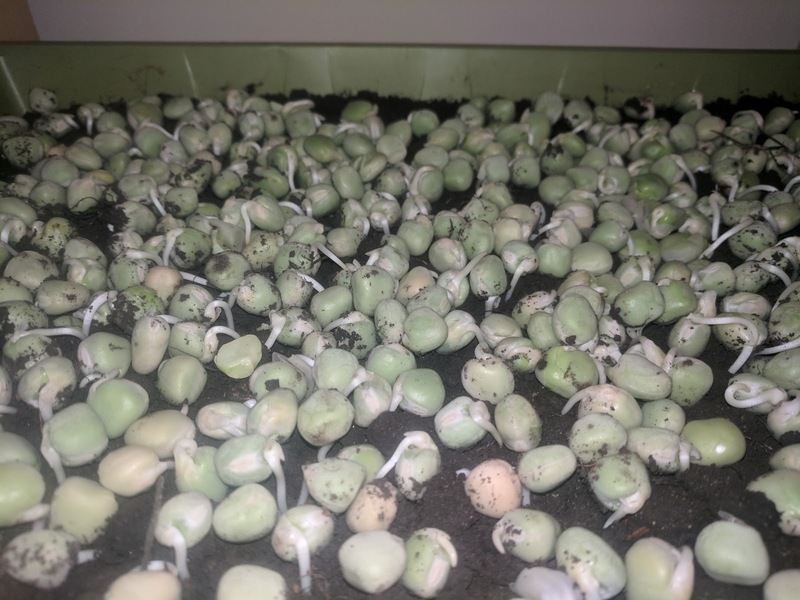 I'm not really interested in growing microgreens under "artificial" conditions (heated, under lights etc) because of the energy costs involved, so perhaps it's worth adopting a more wintry frame of mind.